The Research Institute set features three female scientists. 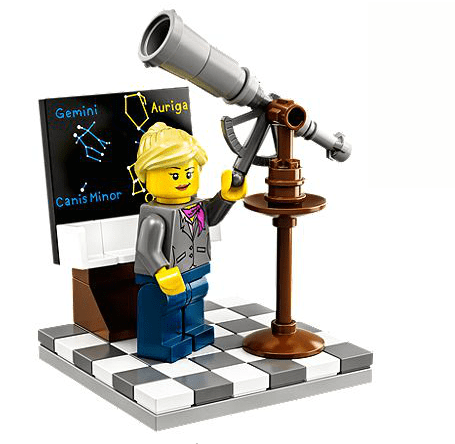 The set was a crowd-sourced LEGO Ideas concept, created by Swedish geochemist Dr Ellen Kooijman who wanted to see more female LEGO characters in interesting professions. Once LEGO agreed to take the set on, they had their design professionals go over Kooijman’s original concept. The design professionals have added make-up and accessories, including a pink scarf. To be fair, though, it’s a bit hard to make clear that a minifig is feminine, so I guess some overt signalling is required. And here the signalling is relatively subtle. I was actually going to give LEGO kudos for this whole venture until I noticed that they have tagged this as a girls’ toy. That suggests someone in the LEGO marketing team doesn’t really get what this is all about. Just because the characters are female doesn’t mean it’s a toy only for girls. This is exactly the sort of toy both boys and girls should be playing with if it is to change entrenched stereotypes. The Research Institute set is priced at $29.99 (or $10 less if you’re an American not subject to LEGO’s Australia tax!). It is currently sold out but they expect new stock in September. You can find it in the LEGO shop here.